More than 2,000 people were on campus for Homecoming events Oct. 20-22. Traditional UC Merced events — Homecoming, Preview Day and Family Weekend, plus the Chancellor’s Scholars recognition ceremony — came together for a first-of-its-kind bundle of activities that highlighted the campus for current and prospective students, alumni, family members and friends, and the community. Events included a women’s volleyball game, information sessions, women’s and men’s soccer games, a tailgate party and karaoke. “One of the things I love most about UC Merced is no matter how much we grow, we will never lose the sense of family and community that brings us together,” Chancellor Dorothy Leland said. Prospective students from across California visited UC Merced, some for the first time. Part of Homecoming’s success was the sense of connection built between Merced and the campus. We are a city on the rise, and that’s in big part due to UC Merced and what you bring to our community. 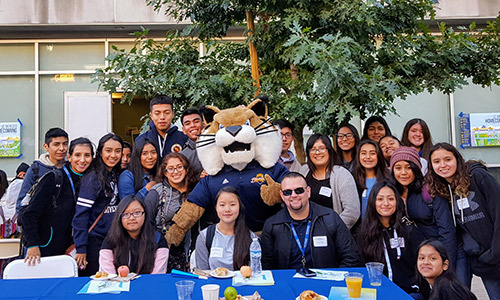 Just about every school, department, club and organization at UC Merced was represented at the Community Showcase with demonstrations, performances, educational games and more to celebrate all the campus has offer. 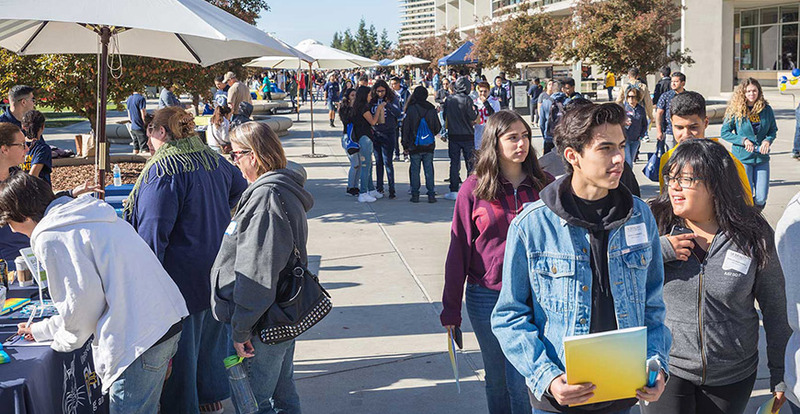 More than 1,000 prospective students and their family members visited UC Merced, some for the first time. About 400 family members returned to campus to reunite with their students, and community members toured what is now a point of pride in their hometown. And nearly 200 Chancellor’s Scholars were honored at a special event held downtown, attended by their friends and families.